It used to be that only adults and older kids could enjoy scuba diving. Not anymore! Now there’s Scuba Rangers, a way cool scuba program for kids ages 8 to 12. How do you become a Scuba Ranger? 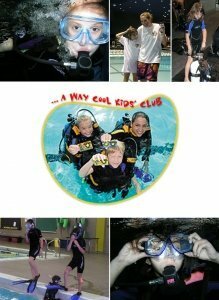 It’s easy, Scuba Rangers is a program for any active kid age 8 to 12. You must have basic swimming skills, be comfortable in the water, and be in good health. Book as many sessions as you like. The complete program is five basic levels. You’ll get cool rewards for each level you complete. Red Ranger – Water safety techniques, swimming and snorkeling skills. White Ranger – Snorkel review and first time on scuba. Blue Ranger – More scuba skills and underwater photography. Silver Ranger – More scuba, fun and games. Demo Ranger – Demo Ranger is the highlight, because you proudly demonstrate your skills to parents, family and friends.